EIS is committed to conducting business with honesty, integrity, and in full compliance of the law. We ensure client satisfaction with high-quality products and services that are delivered on schedule and within budget. We promote staff satisfaction through challenging work, excellent compensation, and career development. We use industry standards, best practices, and continuous process improvements to ensure mission success and client satisfaction. Welcome to our employment section. At EIS, you will have the opportunity to use your knowledge, experience, energy, and creativity while developing your skills in a quality work environment. Whether you’re looking for a new professional challenge, making a career transition, or just starting out, you will find a wide range of challenging positions to choose from. 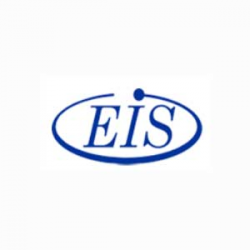 Additionally, EIS offers excellent salary and benefits to our employees. Our benefits package is among one of the best offered by Federal Information Technology contractors, small and large combined. Email me jobs from Enterprise Information Services, Inc.